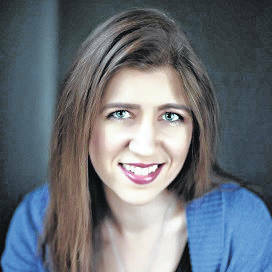 GALLIPOLIS — Young adult author Natalie D. Richards will spend the afternoon at Bossard Memorial Library on Thursday, July 5, providing library patrons two opportunities to hear the author discuss her craft. At 3 p.m. on July 5, teens are invited to a special Teen Summer Club meeting where Richards will speak and answer questions about her books and writing. Young adults, ages 12 to 19, are welcome and encouraged to attend. Copies of Richards’ books will be available for purchase. Later that evening, at 6 p.m., Richards will stop by for a meeting of the French City Writers’ Guild. This event is free and open to aspiring writers of any age. Richards is the author of several critically-acclaimed young adult books, including Six Months Later, One Was Lost, and her latest book We All Fall Down. Her next book, What You Hide, is due out in December and is set in a mysterious library. Richards, a lifelong Ohioan, is a frequent speaker at schools, libraries, and writing groups as she enjoys championing aspiring writers. During her presentation to the French City Writer’s Guild, Richards will discuss a variety of subjects related to writing, including the journey of writing and publishing one’s own work. Richards will also host a book sale and signing at this event. The French City Writers’ Guild is an open-forum writing group that holds meetings for adults each month and meetings for all ages on a quarterly basis. Local writers are encouraged to bring in their working novels, short stories, poetry, or screen plays to share with other writers in a comfortable and encouraging atmosphere. To check out books by Natalie D. Richards, stop by Bossard Library. For more information on news and events at the library, visit bossardlibrary.org.